Dice Set – Glow in the Dark | Dice – Geek Girl Stuff – Geekery, art, jewelry, and more! One set of gaming dice! 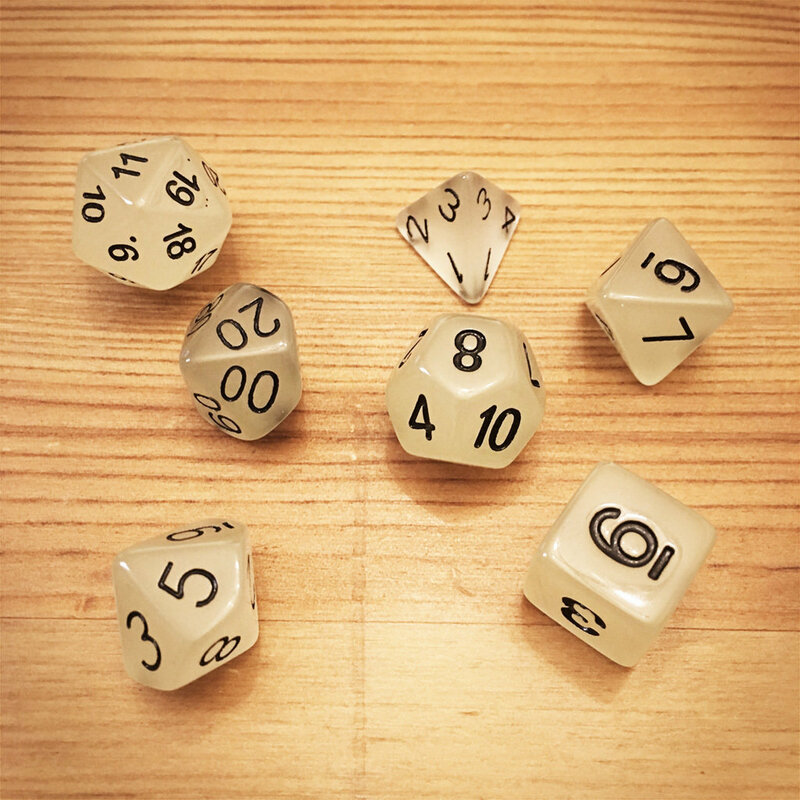 These dice are opaque ivory color with black numbers. And this set glows in the dark!